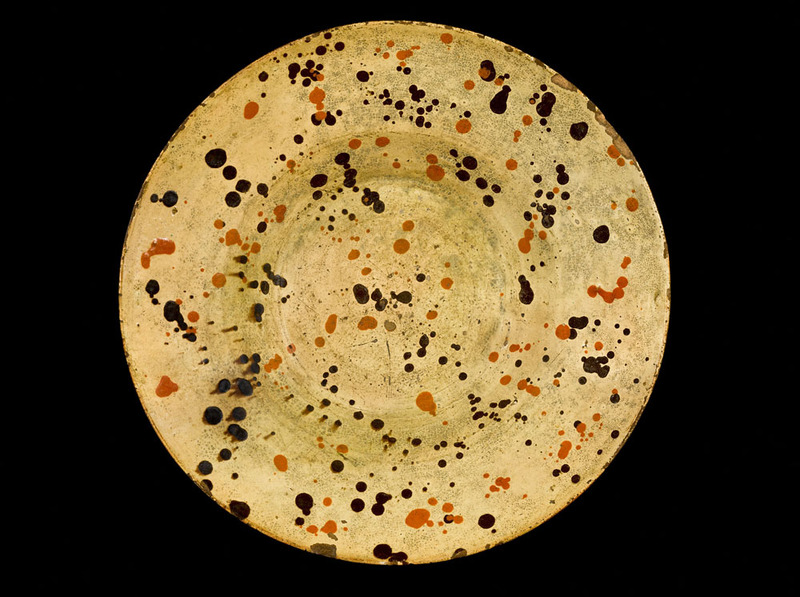 Metdish Dish, attributed to Solomon Loy, Alamance County, North Carolina, 1825–40. Lead-glazed earthenware. D. 15 in. Private collection. Photo by Gavin Ashworth. This week, there are a lot of opportunities to experience the Museum, including an American Ceramics Circle Symposium; free admission for everyone on Thursday, November 4, and free admission for veterans on Saturday, November 6; a lecture with Luke Beckerdite on the Art In Clay exhibition on Thursday at 6:15 p.m.; and a European Design Since 1985 Express Talk. This Thursday, November 4, is Target Free First Thursday. Admission to the Museum is FREE for everyone, thanks to Target. It’s a great opportunity to experience everything the Museum has to offer. And while you are here, be sure to experience the European Design Since 1985 Express Talk at 12 p.m.
As our way of saying “Thank You,” veterans will receive free admission to the Museum on Saturday, November 6, and Thursday, November 11. Don’t forget, now through Sunday, November 14, the Museum is hosting a “Soup for Soup” food drive to benefit Hunger Task Force. Bring in your donation and receive a coupon for a free cup of soup in Cafe Calatrava, good through November 24. It’s a great way to give back to the community and experience a fantastic meal. It’s the official start of the holiday season, so while you are here, stop into the Museum Store and get all of your holiday shopping completed. With something for everyone, it’s an easy and unique way to show your loved ones that you care. Or, give the gift of art and purchase a gift membership to the Museum, giving your loved ones free admission all year long. Finally, since the Packers don’t play until Sunday night, you’ll have time to experience North Carolina potters Hal Pugh and Eleanor Minnock-Pugh as they throw pottery in Windhover Hall. This demonstration is free with Museum admission, from 1 to 4 p.m. Then stop downstairs to see Art in Clay: Masterworks of North Carolina Earthenware, on view through January 17. For more information, please visit mam.org. This entry was posted in Art, Events, Exhibitions and tagged Ceramics, European Design Since 1985, Events, Exhibitions, Store. Bookmark the permalink.